Under the U.S. copyright law, an author or creator owns a copyright in his or her work the moment it is “fixed in a tangible medium” (i.e. the moment the expression of an idea is written down or recorded in some manner). When it comes to the recorded music business, there are two primary copyrights of interest: one in the musical composition or song, and another in the sound recording of that song. A copyright extends for the life of an author plus 70 years, and in the case of collaborators on a copyright it extends for the life of the last surviving collaborator plus 70 years. This article will focus on the collaboration between and among the co-writers of the musical composition or song which is generally comprised of the music (melody, harmony, chords, rhythm, etc.) and the lyrics. The essence of collaboration is working together to create a single work, regardless of how or what each party contributes. Collaborators may work together in the same room at the same time, or not. The creative contribution of each co-author may be equal in quality or quantity, or not. Both authors may work together on the music and lyrics or one might write just music and the other lyrics. The long history of collaboration has shown that there are endless combinations. Co-authors do not need to have a written agreement concerning their joint work, but it is probably a good idea to do so given the myriad issues that can arise and become a problem under such circumstances. Co-writers can divide copyright ownership in whatever proportion they determine, and that ownership concerns both rights (ownership and control) and revenues (income generated). In the absence of a written agreement, under current case law concerning both copyright and partnership law two or more collaborators are generally deemed to share equally on a pro rata basis. This might be so even if it is clear that the contributions of the authors were not equal, since the Courts generally prefer not to make decisions about the value of each author’s contribution to a copyright, and simply divide it by the number of authors (and we probably prefer that Courts not be making decisions about whether the hook or chorus lyric has more or less value than the chorus melody, etc.). Therefore, without a written agreement the two songwriters would be deemed to own the song fifty-fifty, three songwriters one-third each, etc. A typical music business guideline for dividing ownership has been to designate the music as 50% and the lyric 50% of the song copyright. Under this scenario, if one person creates the music and two others write the lyrics, they may agree to divide the ownership 50% to the music creator and 25% to each of the lyricists. However, this concept does not have any legal significance, so if there is no written collaboration agreement then under this scenario each author would own one-third of the song’s copyright. Beyond the issue of just dividing the income, there arises the issue of copyright ownership and control (sometimes referred to as the administration right). Many songwriters prefer that there be separate administration among the various writers and their respective publishing companies, if any. In other words, each author retains control over its respective share of the copyright. In this way each writer retains some control over what happens with the song, the scope of the licenses and how much is charged. Under U.S. copyright law, each joint copyright owner can exploit the song and also grant non-exclusive licenses to third parties subject to the duty to account to the co-writers for any money that is generated. Each writer could also transfer some or all of their respective share of the copyright (e.g. to a publishing company) without affecting the ownership interests of the any other co-writer’s share in the copyright (although no one writer can grant an exclusive license nor transfer copyright ownership in the entire song without the written permission of each co-writer). All of these issues can be addressed in a written collaboration agreement. There are endless variations depending on the circumstances. Each author may retain his or her share of revenues and ownership but grant the administration rights to one party (e.g. the artist/co-writer and/or its label) so that the artist would have the right to record and exploit the song and grant third party licenses. Particularly in the world of synchronization licenses (i.e. using the audio with visual images such as in film, television or video games), it is usually more convenient for one party to have the right to grant licenses and to collect and divide all the income. Licensing can become complicated when a licensee has to seek the approval of, and document permission from, multiple writers and their respective publishers. However, each different scenario and the co-writers involved will need to determine and negotiate what arrangement works best for themselves in that particular situation. A collaboration agreement can be as simple as a pie chart drawing made on a napkin at the diner after the writing session or as complicated as a writer’s publishing company dictates that it be. Over the years there have been many stories of writers agreeing, however reluctantly, to acknowledge a “co-writer” who did not even make a contribution to a song (e.g. 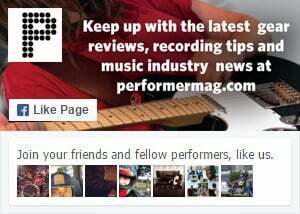 featured artists, producers, record executives, band members, etc.). The exact contribution to a song is always a somewhat subjective measurement and if the price of getting a song on the record of a multi-platinum artist is to share writing credit, then this pressure can be difficult (if not impossible) to resist. However, keep in mind that once a “co-writer” is acknowledged in writing, it can be very difficult to undo. Most successful songwriters rarely, if ever, share credit in this context and every writer should try to follow this practice. At the end of the day, if you believe in yourself and your talents, give yourself the benefit of the doubt, and invest in good legal representation – all the successful songwriters do. Your lawyer can create a fair collaboration agreement for you to use or “translate” the documentation presented to you and explain its terms and then help negotiate more favorable terms for you as appropriate. My advice: never sign anything – other than an autograph – without having your entertainment lawyer review it first. Wallace Collins is an entertainment lawyer and intellectual property attorney with more than 30 years of experience. He was a recording artist for Epic Records before receiving his law degree from Fordham Law School. For more info, visit www.wallacecollins.com.